The Chancellor will urge global financial leaders to ensure sustainable growth and tackling climate change are at the core of their economies at the annual IMF and World Bank Spring Meetings in Washington. Amidst the busy schedule of Parliament and the ongoing Brexit negotiations, the Chancellor will showcase the wealth of opportunities for greater cooperation between Global Britain and its international partners, to face up to the world’s most urgent challenges - such as climate change and slower growth. He’ll highlight the UK’s success in reducing the amount of carbon it produces relative to GDP faster than any other country in the G20 and will encourage other countries to follow suit. He will lead the way in the first ever global group of Finance Ministers dedicated to using economic levers to tackle climate change. Making the first intervention at the new Coalition of Finance Ministers for Climate Action, he will build on his previous warnings that calls led by younger generations to reverse the existing damage to the environment must be heeded if global economies are to continue to grow and capitalism is to continue to succeed. He will highlight the benefits offered by clean economic policies - for example, the UK has 430,000 jobs in low carbon businesses – and alongside representatives from the world’s biggest economies, he will back new global guidelines with urgent actions that finance ministers must take to protect economies and societies from climate change. I will be in Washington this week to showcase our world-class expertise and experience in tackling some of the urgent challenges of our time, from climate change to trade and big data. Global Britain is at a turning point and our future is bright. We must work together with our partners across the world to create a safer, more prosperous and more sustainable economy for future generations. The Chancellor will also use the Spring Meetings to urge world leaders to pay their fair share towards the IMF, ensuring it is adequately resourced to support the world economy, amid slower global growth. As a founding member of the institution, the Chancellor will speak on behalf of the UK to defend the organisation’s vital role in guarding against economic crises and push for swift action to make sure it has sufficient firepower to reassure markets, as and when needed. In December, the Financial Action Taskforce - the global standard-setter for anti-money laundering and counter-terrorist financing - gave the UK its highest possible rating in its review of how the country tackles dirty money. Continuing this fight, the Chancellor will attend the latest meeting of the Taskforce and sign up to a new global mandate encouraging greater cooperation to beat criminality. In a sign that the fight is growing in strength, this will be the first time FATF members have met at Ministerial level since 2012. It will be the final meeting presided by the Americans before the Chinese chair the Taskforce from July. The Chancellor will also hold talks with Finance Ministers of the largest global economies including US Secretary to the Treasury, Steve Mnuchin, and the Chinese Minister of Finance, Liu Kun. They’ll discuss the future of trade, investment, and future closer cooperation post-Brexit. He will also meet Larry Kudlow, Chair of the US National Economic Council, to discuss the US-UK economic relationship. And finally, for the first time, he will meet the newly appointed Brazilian Minister of Economy, Paulo Guedes. He’ll reaffirm the importance of UK-Brazilian economic cooperation and outline the UK’s priorities for future collaboration. The Coalition of Finance Ministers for Climate Action is a new grouping of Finance Ministers committed to taking action on climate change, currently co-chaired by Finland and Chile. Its purpose is to build engagement between finance ministries on climate change, recognising that many of the levers for effective policy sit with finance ministries. Since 1990 the UK has cut its emissions by over 40 per cent while the economy has grown by over two thirds, and the UK continues to take ambitious action on climate change and the environment. At the Spring Statement, the Chancellor announced a package of green measures, including the introduction of the Future Homes Standard by 2025 which will ensure that new build homes are future-proofed with low carbon heating, helping to reduce the carbon footprint and energy bills of families across the UK. 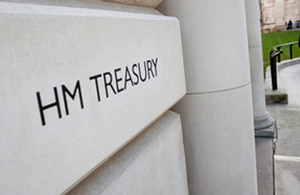 The FATF recently found that the UK has some of the strongest controls in the world for combating illicit finance. Find out more here.